A great day for whale watching! The sun was out and the water was calm as our captains headed out to see what was in range for the day. It wasn't long before reports of orcas came in indicating they were North of Victoria. Our fleet headed up to catch the action, and on the way stumbled upon a humpback feeding and resting in a channel among the San Juan Islands. Both ecotypes of orca were encountered throughout the day! The resident's (salmon eaters) were also seen around the San Juan Islands feeding on the salmon along the coastline. 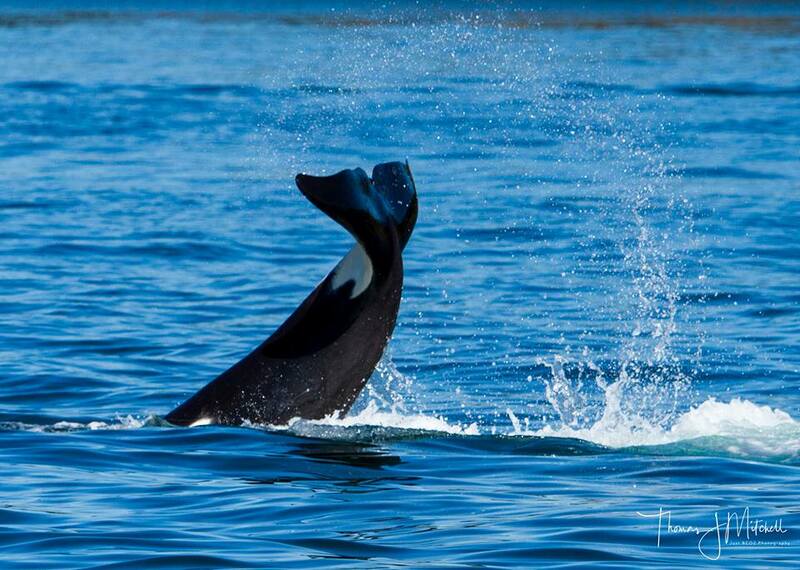 Bigg's orca (mammal eaters) were spotted moving quickly as they scanned the waters for prey, and socialized! Stay tuned for whats next! !